Good Morning! We are finally getting back in the groove after Thanksgiving break and all my attention is now focused on finishing up my Christmas gift list. I did a lot yesterday during the Cyber Monday Sales and hope to finish up most everything this week. 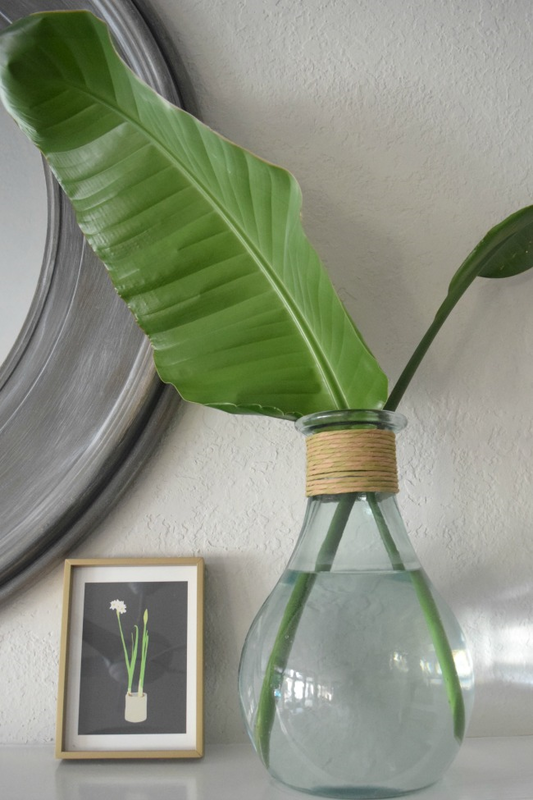 We all know Minted for their beautiful cards and invitations, but they also have some really amazing gifts! 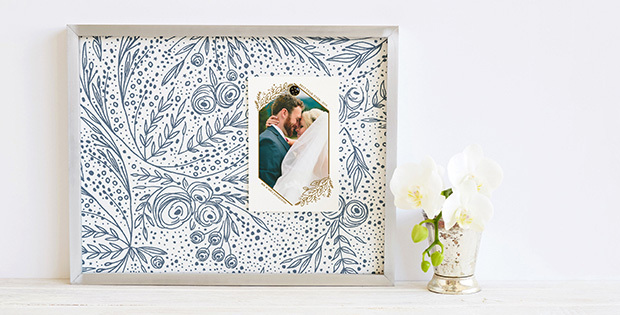 Today I thought I would share five of my favorite gifts from Minted. One - Art. Minted has a great selection of art pieces from their community of independent artist. 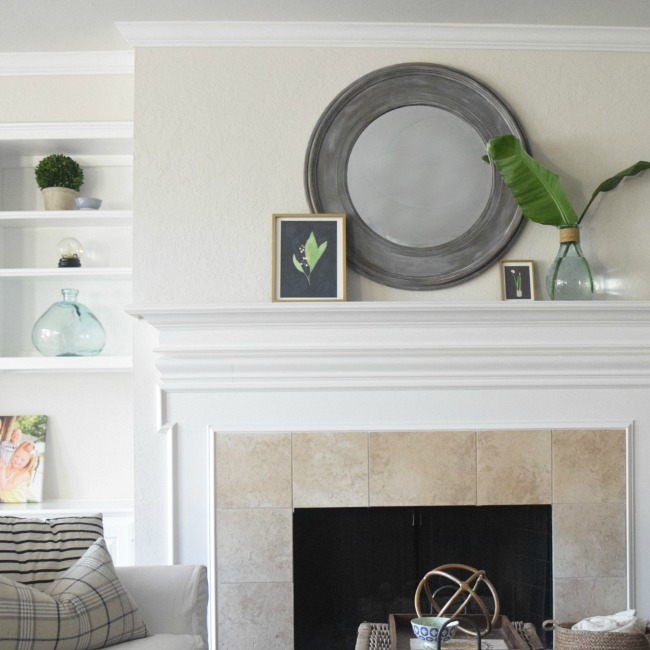 I recently added a couple of Minted art pieces to my home and love them! 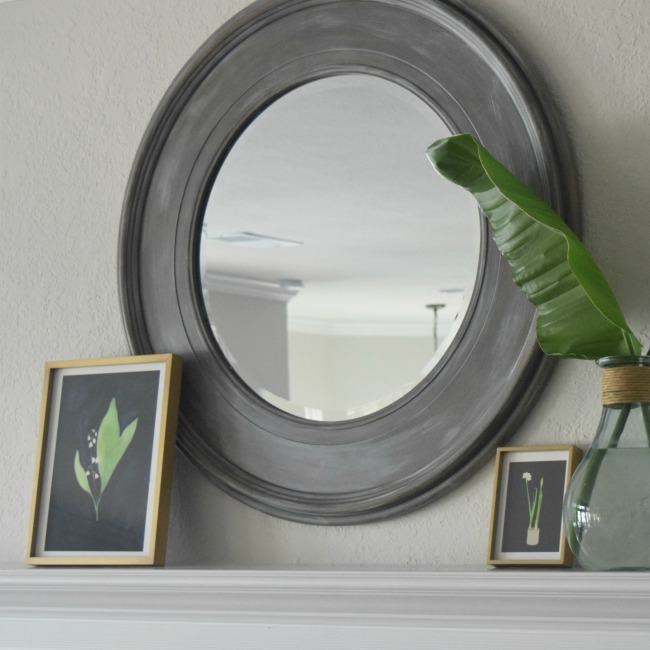 This Courage to Remember Lily of the Valley by Renee Anne adds the perfect amount of color against my neutral walls. I choose the matte brass frame which ties in beautifully with some of the gold I'm adding around my home. I also love this Paperwhite art print by Jorey Hurley. If you've been around my site awhile, you know I always have paperwhites in my Christmas décor. And now I'll have paperwhites in print too! Two - Framed Pinboards. 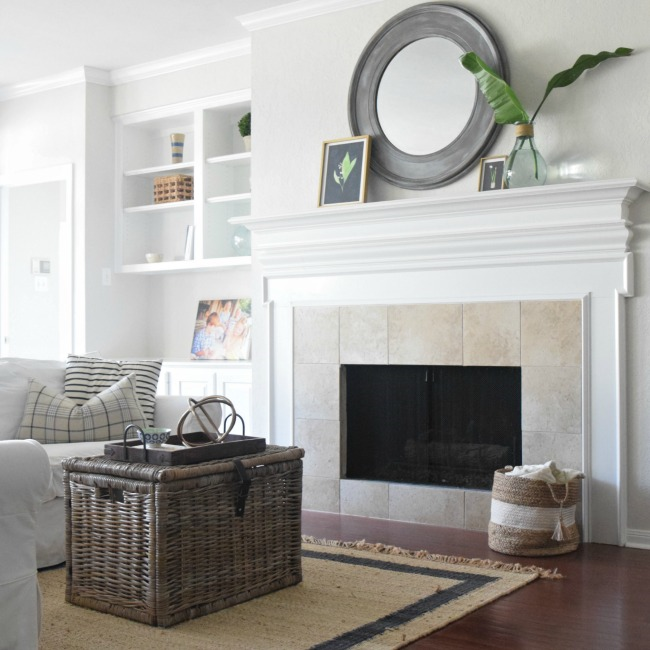 With several gorgeous fabrics to choose from, you can really make it a beautiful place to display your favorite pictures, reminders, and other mementos. I really like this classically elegant fabric. The pinboards also come in many different sizes, making it easy to find one that fits your recipient's space. 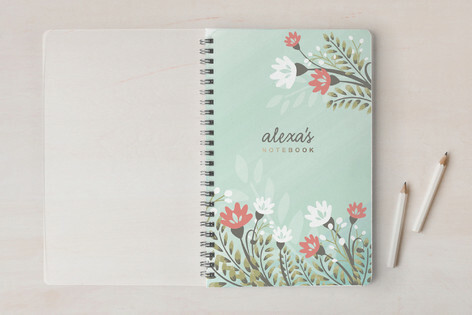 Three - Personalized Notebooks. These can be customize for your loved one making them even a little more special. This pretty one above is called Spring Flourishes. Once you choose a front design, you can personalize it with a name and then add personal photos or a special quote in the interior. Four - Custom Silhouette Art Prints. A great way to capture a child, pet or loved one in a fun way. 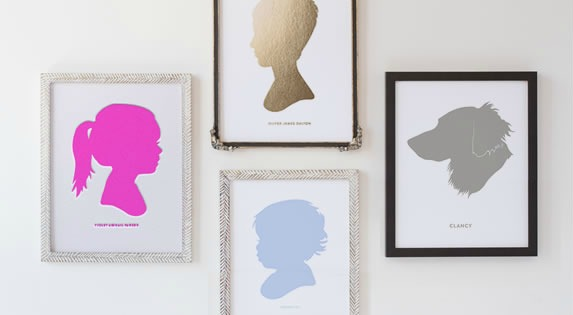 You simply upload a profile picture and the Minted design team turns it into a beautiful silhouette art print. Five - Personalized Stationary. 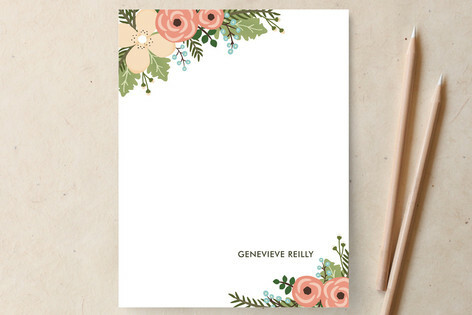 This Posey Blush Stationary is a design challenge winner and is printed on luxe paper and comes with a complimentary gift box. A perfect gift for someone special. These are five of my favorite Minted gifts, but there are lots more ideas on their site. Have a great day!